Stars captain Glenn Maxwell now knows how Coalition leader John Hewson felt when he lost the unloseable federal election in 1993. Twice last night Maxwell had the Renegades by the throat, but somehow they got away to win the Big Bash final at Marvel Stadium by 13 runs. And right in the thick of it was Renegade all-rounder Dan Christian who despite closing in on 36 summers, waltzed away with the man of the match award. Having won the toss and elected to field, Maxwell had the Renegades on the ropes at 5-65 with 58 deliveries left. He could be forgiven for thinking the Renegades would be lucky to post 120, his bowlers were so much in command. But Christian, and Tom Cooper, had other ideas. Sensible batting with only four fours and three sixes between them, they put on an undefeated 80-run stand off 58 to set a defendable 146 for the star-studded Stars to chase. Christian finished with 38 not out off 30, Cooper unbeaten on 43 off 35. 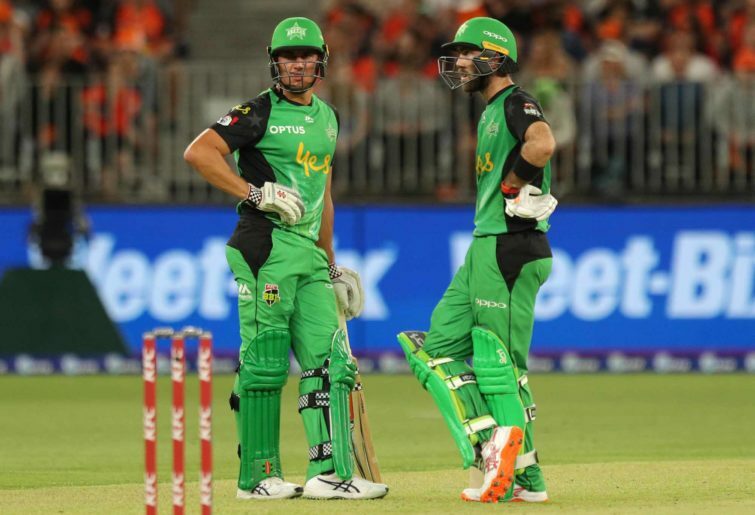 In reply, the Stars were 0-93 – with Marcus Stoinis 39 off 38 and Ben Dunk 52 off 40 – and in total control, needing just 53 off 42 to win the Bash for the first time. With their batting line-up that as a walk in the park, and don’t be surprised if the Stoinis-Dunk partnership do it alone. That’s when cricket became a funny game with Maxwell, who has been in superb batting and captaincy form to reach the final from bottom of the ladder, stopped smiling. He was in the middle of the great collapse with the Stars losing 7-19 off 30 deliveries, and it was all over bar the shouting. Leggie Cameron Boyce started the rot by bowling Stoinis neck and crop with a magnificent delivery and that inspired pacemen Chris Tremain (2-21), Harry Gurney (1-20), and Christian (2-33) to finish the job. Peter Handscomb (0), Dunk (57), Maxwell (1), Nic Maddinson (6), Seb Gotch (2), and Dwayne Bravo (3) were the other six passing each other at the gate among those 30 game-turning deliveries. For 18-year-old Mackenzie Harvey, the nephew of former Australia ODI all-rounder Ian Harvey, playing the final in front of 40,816 will be something he’ll never forget. With only two 50-over games for the Vics, last night was a huge leap in status. The left-hander didn’t show up with the bat, scoring just 14 off 16, but he took two well-judged catches in the deep to dismiss Maxwell and Gotch cheaply – two big scalps. But big crowds are second nature to Dan Christian who has become a globe-trotting T20 specialist. Last night was his tenth T20 tournament final worldwide, his seventh success. With a strike rate like that, he’ll be in demand around the globe. The big question is where will he pop up next – and will it be the World Cup?